Pratt & Whitney’s F135 engine, used in the F-35 Lightning II, successfully demonstrated hot-life capability during accelerated mission testing at AEDC. Pictured here is the engine during testing in the Engine Test Facility’s sea level 2 test cell. 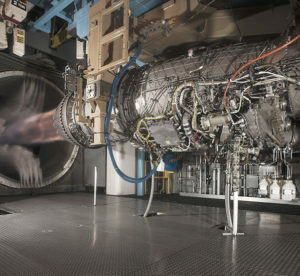 The full hot-life capability of Pratt & Whitney’s F135 engine, which is used in the F-35 Lightning II, was successfully demonstrated during accelerated mission testing at the Arnold Engineering Development Complex. Sponsored by the Air Force Engine Component Improvement Program office, the test focused mainly on the conventional takeoff and landing engine variant that powers the Air Force’s F-35A model. CTOL development represents a key milestone of the F135 program. “Due to the component commonality across all three F-35 variant engines, the lessons learned will save costs for the entire fleet, including the (other) services and the non-U.S. participating countries,” said Michael Astahoff, the chief of the CIP branch for the Air Force. The engine achieved 5,210 total accumulated cycles or more than seven years of operation in 235 days of testing. This is equivalent to approximately 1,200 F-35 missions. 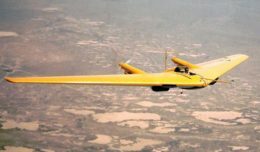 Accelerated mission testing is performed to evaluate reliability and maintainability performance of the engine over its life span. The testing is also used to identify potential issues before they are encountered by the operational fleet. During an AMT, engines accumulate hours under monitored conditions and accrue hours at a faster rate than when operating in the aircraft. John Kelly, the deputy for operations of the Aeropropulsion Combined Test Force at AEDC, said that on average, 55 total accumulated cycles were achieved in a single day of testing, with the maximum number of 101 TACs in a day. “That amounts to about 30 sorties in the field,” he said. Advanced data from the test program has led to improvement opportunities aimed at determining the life cycle cost expectations for the entire F135 CTOL powered F-35 fleet. In all, the F135 program has tested over 5,510 hours in five different test cells at AEDC.